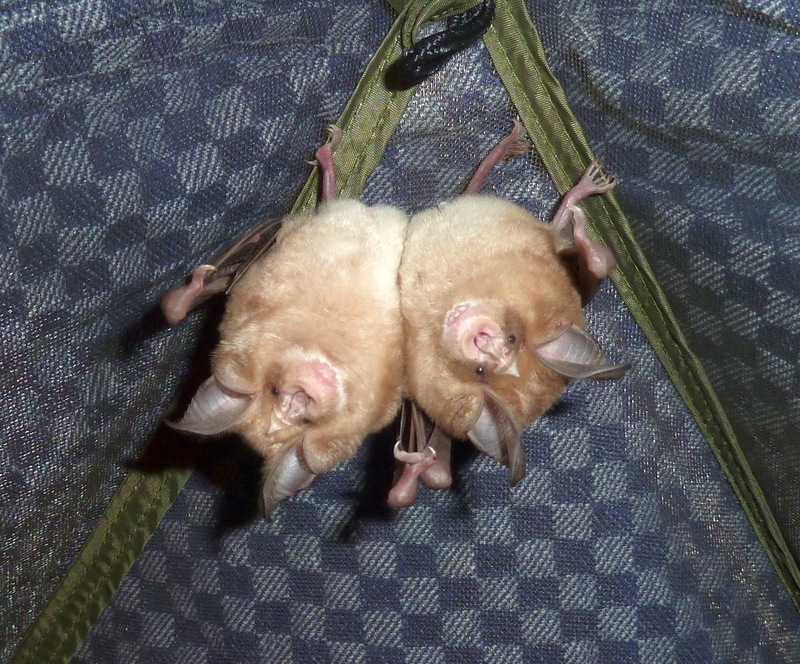 The picture shows two middle-sized horseshoe bats – on the left Mehely's horseshoe bat and on the right a Mediterranean horseshoe bat. Amazingly both species can occur in the same regions, they partly feed on the same prey and as the picture indicates they look very much alike. How do these two species differ? This study compared the echolocation calls of the two species while catching moths. The results help to understand to which extend the two species differ in their prey capture behavior.